The month of June offers us a chance to catch our breath somewhat after a particularly busy May with the new Officer Installations, and the Schools of Instruction pretty much completed. Additionally, new Sir Knights were created at various Commanderies around the State evidencing the successful efforts of our newly re-organized Membership Committee. We are looking forward to additional Battalion meetings this month. Our Battalion Commanders have been busy setting the groundwork for greater interaction among their Commanderies, including support for each other’s activities resulting in meaningful camaraderie among our Sir Knights. 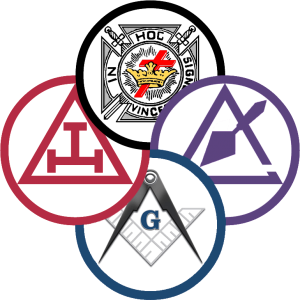 The Yooper Council meets June 21st in Gladstone and the Grand Commandery Officers will be attending on our way back from the Wisconsin Knight Templar Grand Conclave in support of our newly installed Grand Master of Masons in Michigan Bill LeVeque. A return trip to the Upper Peninsula is set for July when the Grand Commandery Officers will be conferring the Orders upon ten newly made Companions of the Royal Arch. We are working with the Officers of the Grand Chapter of Royal Arch Masons of Michigan on this important event and fully expect it to be a great success. Check our Grand Commandery Website (kt-mi.org) for the details including hotel reservations and plan to join us for this ground-breaking occasion. For some time we have been seeking to restore a meaningful presence in the Upper Peninsula where we once had ten or more Commanderies operating, and perhaps we are finally making progress. Our Iron Mountain Outpost is active, and will be inspected this year as it progresses on its way to becoming yet another new Commandery here in Michigan. As Knights Templar one of our important activities is drilling and marching. Take advantage of any parades in your area. Contact the organizers for a spot, and participate along with the Sir Knights of your Commandery. Let SK Ryan Groat (ryan@groatmachinery.com) know the details so he can post it to upcoming events on our website so others may join you. Carry the U.S. Flag and Beauseant in front, and enjoy a morning of exercise and good fun. Perhaps a float could be arranged for those not able to march. Your participation will not go unnoticed, and perhaps inquiries by potential new members will result. It usually does. Sir Knights, to get the most from your association with the Knights Templar it is important that you get out and PARTICIPATE. Whether at meetings, orders, or social events, you get the maximum benefit by attending. So update your calendars by checking the schedules provided by your Commandery and on the website, and we look forward to seeing you soon around our state of Michigan.